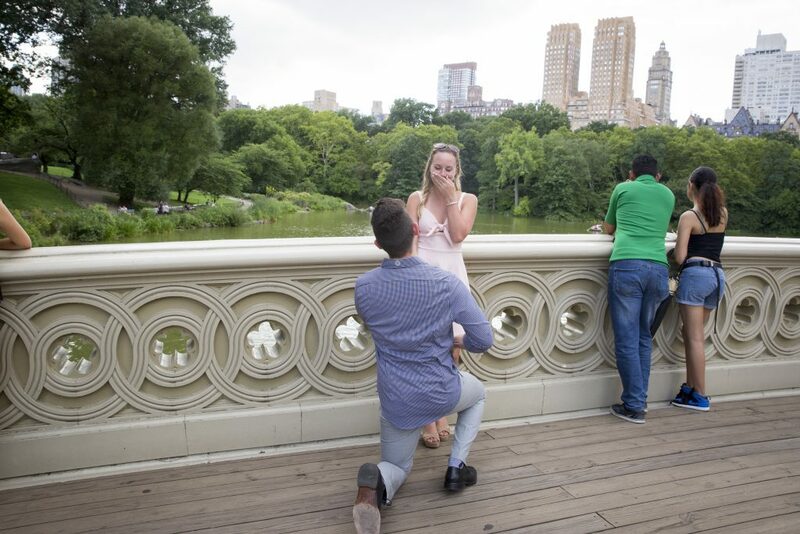 We love hearing how proposal photography helps make memories. Here’s what some of our happily engaged couples have to say about choosing Paparazzi Proposals! View more reviews on our Yelp page. -Dominik and Rennee, engaged in Central Park. 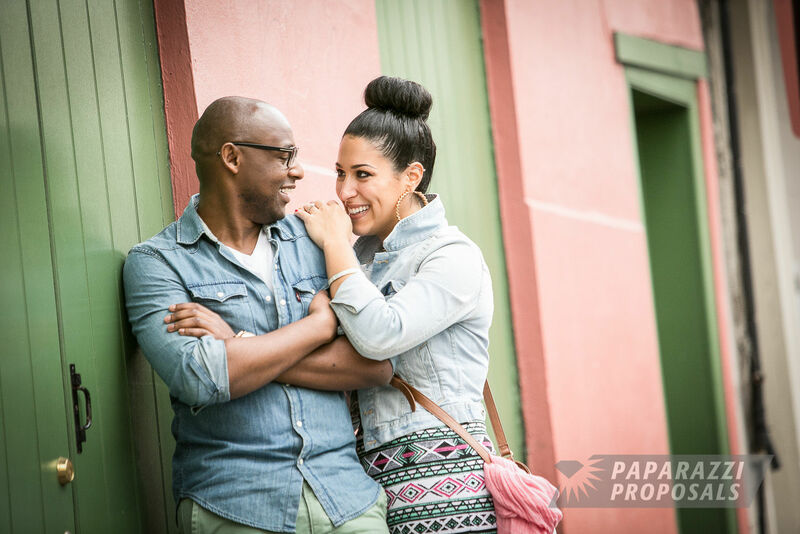 View their full proposal and portrait session and check out the full Yelp review. -Rich and Catherine, engaged at Battery Spencer Park. View the full Yelp review. -Chris & Jenna, engaged at Maggie Daley Park in Chicago. 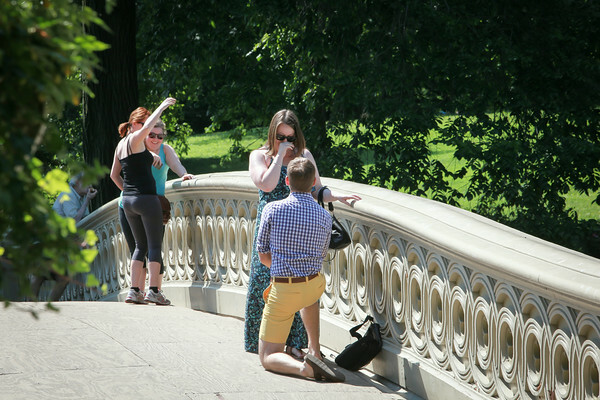 View their full proposal slideshow, and check out the full Yelp review. “So, I found out about Paparazzi Proposals via Shark Tank like many others. Upon doing some basic research (yelp Reviews, testimonials, fellow proposals stories/pictures, etc.) on the company, I was sold. I contacted James from the website and he replied back within the day. We chatted over email and phone, and immediately began working on a plan as I kind of had an idea of what I wanted to do, but not an entire execution plan. I did the proposal in Chicago and someone in James’ network met me up before I did the deed and we planned out the specifics on site together. -Nisant & Dhruvy, engaged at Maggie Daley Park in Chicago. View their full proposal slideshow, and check out the full Yelp review. “Thank you to James for helping me make my vision a reality! He was absolutely awesome and the pictures were incredible. He helped me plan the entire proposal, gave me suggestions, worked with my situation, and captured the moment completely! Not only did he capture the moment and take some posing pictures afterwards, but he then helped capture a surprise inside the restaurant where my now fiancé’s family was waiting to surprise her from out of town. He got incredible pictures of the surprise, and even asked to take more pictures of all my family members and her family members to add to the album. All of that, and he had the pictures ready for me 3 days later – unbelievable.Jeffrey & Laura, engaged outside the restaurant from their first date in New York. View their full proposal slideshow and check out the full Yelp review. 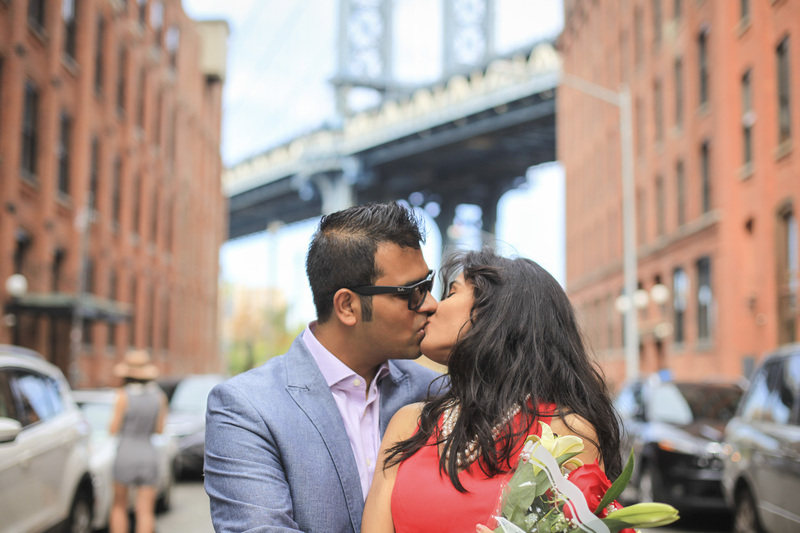 -Mukul & Asha, engaged at the Brooklyn Bridge, New York, New York. 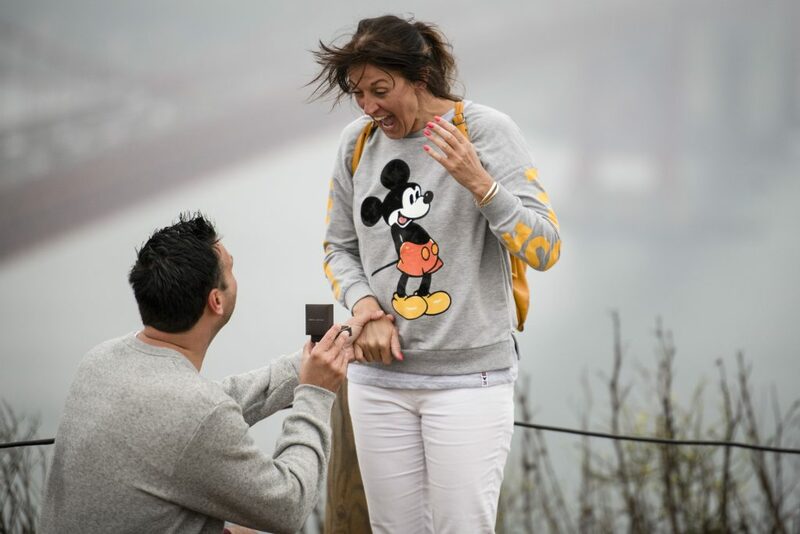 View their full proposal slideshow, and check out the full Yelp review. -Nick & Liz, engaged on Bow Bridge in Central Park, New York, New York. 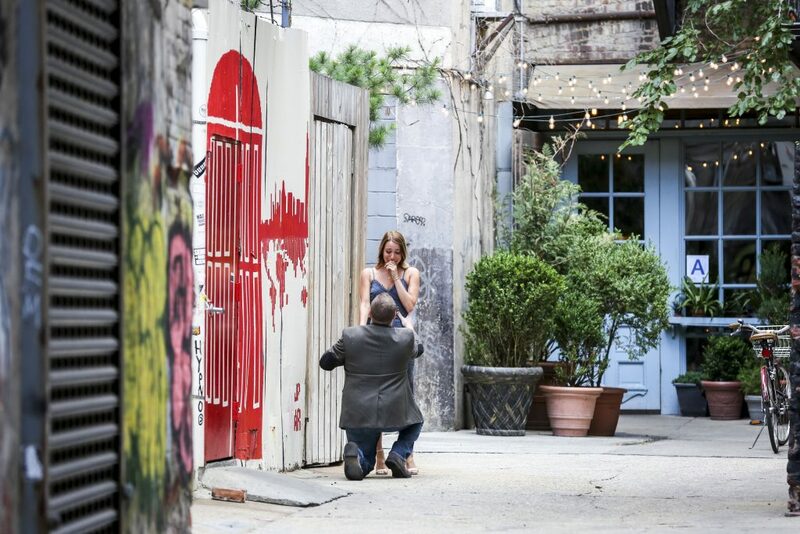 View their full proposal slideshow, and check out the out the full Yelp review. 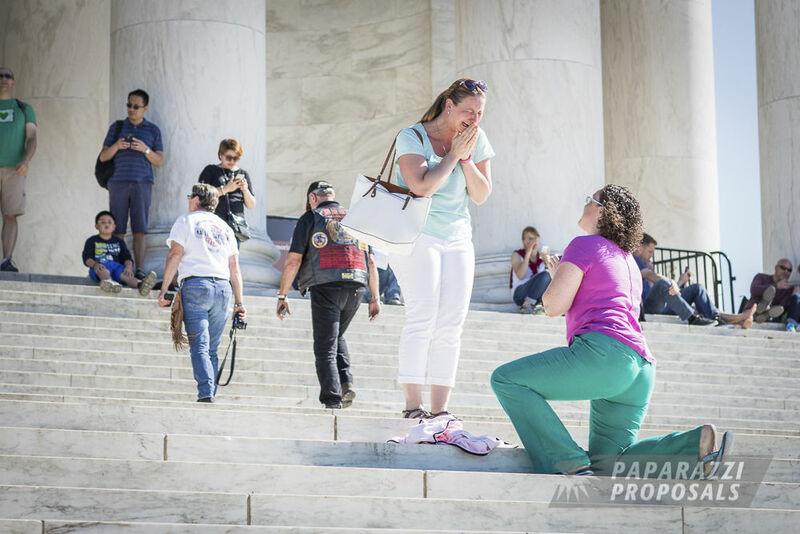 -Julie & Amy, engaged at the Jefferson Memorial, Washington, DC. 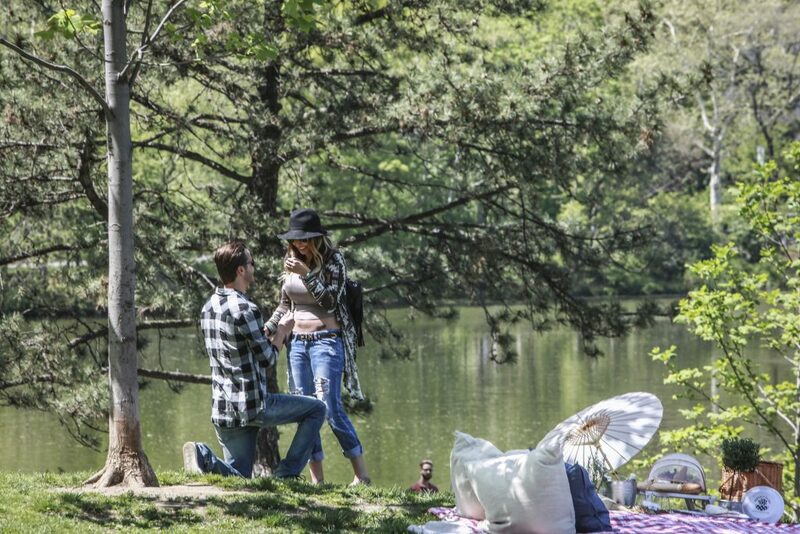 View their full proposal slideshow, and check out the full Yelp review. 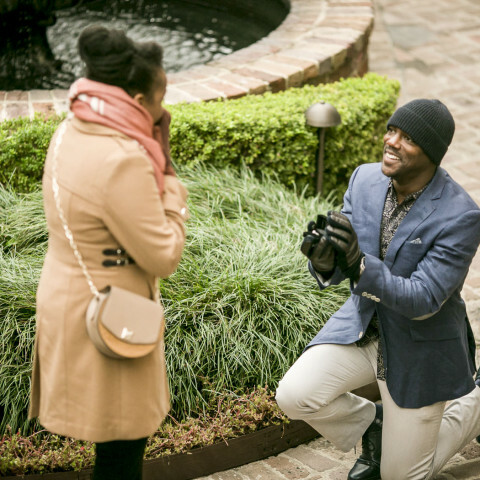 After seeing James on Shark Tank, I knew that Paparazzi Proposals was going to be the icing on the cake for a proposal that I had been planning for months. Doug from New Orleans was amazing- he was courteous, FLEXIBLE (I had to call and postpone our appointment to later on in the day after my girlfriend decided that we needed to switch hotels), and most importantly, an amazing photographer. Thank you for immortalizing this special day for us; I would definitely recommend Paparazzi Proposals to everyone I know. It’s a genius concept and the staff are amazing to deal with. -Christian & Sofia, engaged in Jackson Square, New Orleans, Louisiana. View their full proposal slideshow, and check out the original Yelp review. 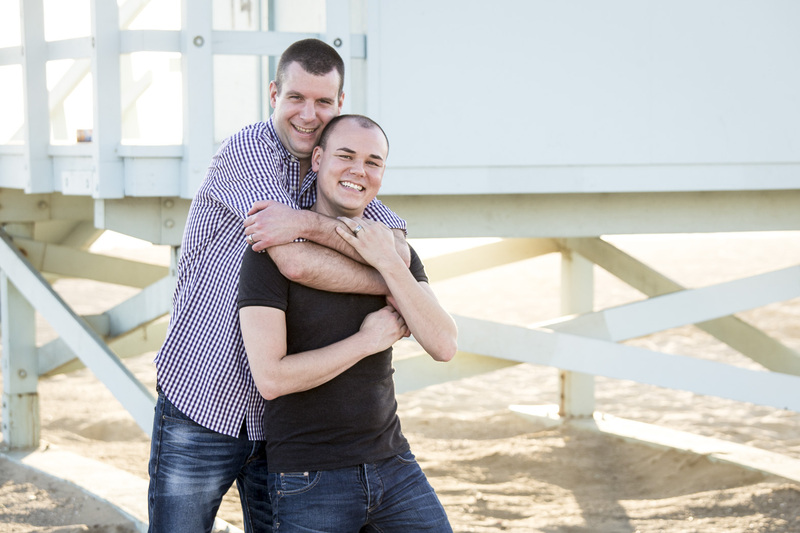 -Tom & Tony, engaged in Santa Monica, California. View their full proposal slideshow, and check out the original Yelp review. 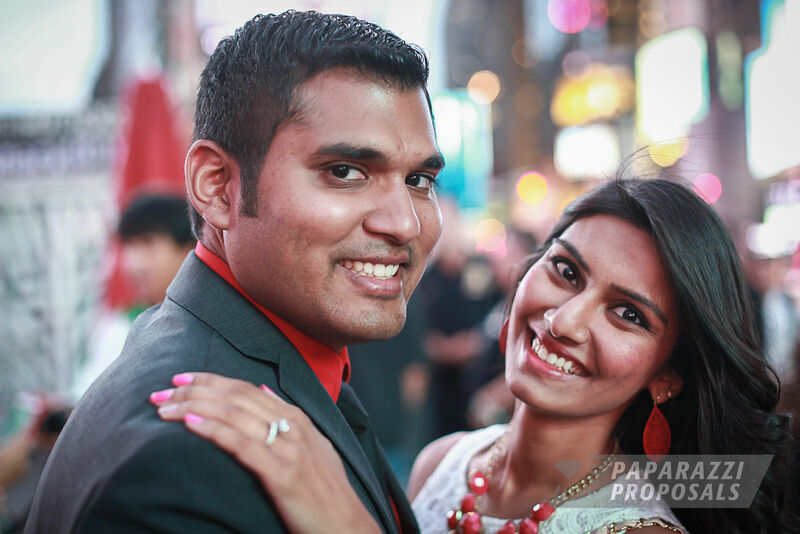 -Vishal & Pavita, engaged in Times Square, New York, New York. View their full proposal slideshow and check out the original Yelp review.